We now also have a Lakeside Picnic Pavilion with seating for 80! One hour tour of one of America’s top show caves. Explore, the history, geology and biology of this famous cavern. Kids Young & Old LOVE IT! Emeralds, Fools Gold, Amethyst, Garnets & Sapphires. Each student gets to keep all the treasures they find. Includes the historic Bridal Cave tour with a 1/2 mile nature walk with two outdoor classrooms and a SPECIAL flashlight tour of Bear Cave. Each child receives a souvenir flashlight they get to take home. Click Here to reserve your Discovery Tour on-line! Your program will begin with a one half mile walk through the Northern slopes of Thunder Mountain Park. Two outdoor classrooms will be encountered along the Trail utilizing hands on learning exercises. Each portion is designed to aid the student in grasping the fundamentals of cave geology and man’s relationship to his environment. Bear Cave has been left in its natural state to allow the participant to gain an awareness of this precious natural resource. Because of Missouri’s great abundance of caves, this portion of the program will concentrate on caving safety techniques and creating an appreciation for this delicate eco-system found only in the Ozarks. Each participant receives a souvenir flashlight to take home. Your program will conclude with a special interpretive tour of world famous Bridal Cave. 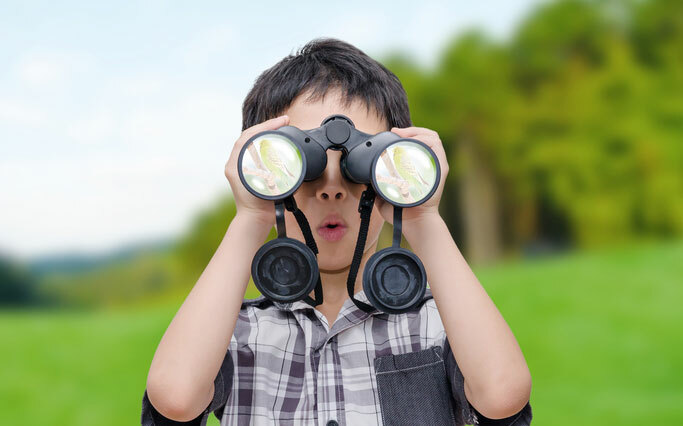 Here your guide will tie together all of the experiences your students have received during the earlier segments of the field trip. How and why Missouri is known as the “Cave State” is just one of the topics covered. 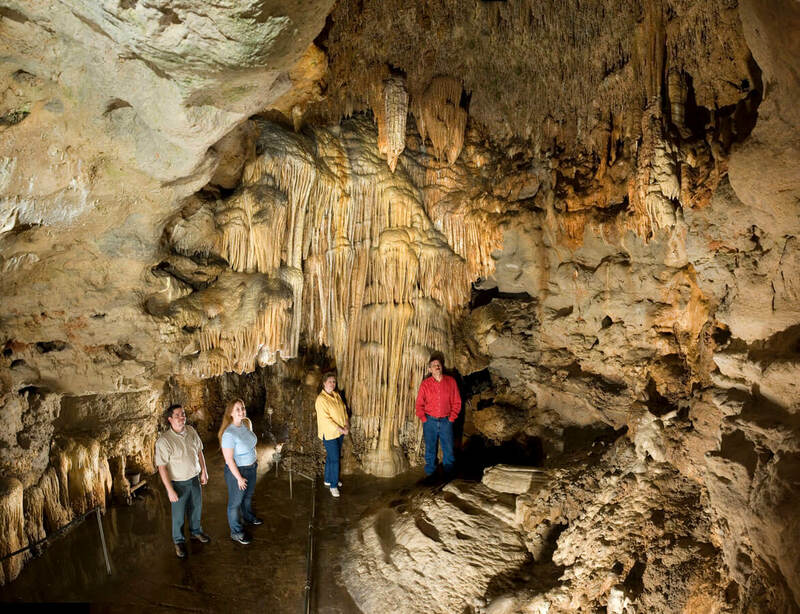 Bridal Cave is located just two miles north of Camdenton, Missouri, via Highway 5, then 1 1/2 mile scenic drive through the Thunder Mountain Park area, the highest point in Camden County. CLICK HERE to visit our Directions / Location page. Bridal Cave is open daily at 9:00 a.m. year round except Christmas Day, Thanksgiving, and New Years Day. For specific hours, CLICK HERE to visit our Hours & Rates page. 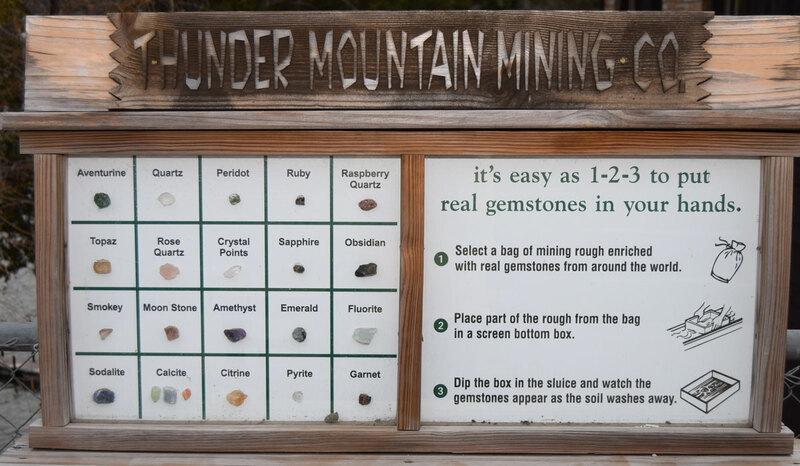 Thunder Mountain Mining Company, a unique rock & mineral shop specializing in rock, minerals, fossils, and educational materials for rock hounds of all ages. Your reservation will be confirmed by email unless requested otherwise. Copyright © 2017-2019 Bridal Cave. All Rights Reserved.